The Hoyt Carbon Spyder 34 is one of the best bows (if not the best) in the Hoyt line up for 2014. The Hoyt Carbon Spyder 34 features Hoyt’s game changing carbon riser and delivers on quietness, speed, and feel. This bow retails for around $1,399. Lets take a look at the Hoyt Carbon Spyder 34’s specs. This bow is the top of the line as far as a quality build. The carbon riser is light, super durable, and houses a new shock rod noise dampening system. Hoyt added a rubberized shelf pad to the arrow shelf eliminating accidental arrow contact noise. 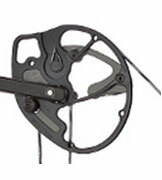 The Hoyt Carbon Spyder 34 also has a string stop and limb dampeners which also aid in a quiet shot. 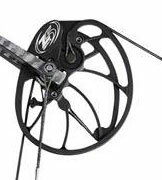 Instead of the traditional cable guard, the Hoyt Carbon Spyder 34 uses a cable roller system. The grip feels perfect and helps to deliver a somewhat torqueless shot. The new Z5 cam and a half system is a major improvement compared to Hoyt bows of the past. The bow’s draw cycle is pretty smooth and settles at a decent back wall. Although the draw cycle is not the best we have experienced in 2014, its very shootable. 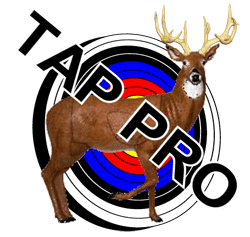 You won’t have to call your shoulder surgeon after the bow season. Overall, the look and feel of this bow is awesome. Tons of quality have been poured into this bow and it shows. The cherry on top of this bow is the fact that the carbon riser will not get cold to the touch like its aluminum counterparts. That alone is worth paying more for. This bow performs well. It feels great in the hand, holds well at full draw, and delivers on speed without the noise. The Hoyt Carbon Spyder 34 groups arrows well and has minimal jump while shooting; pretty dead in the hand. I actually shot better with the 70 lb version of this bow compared to the 60 lb version. I think the reason is that I was holding more weight and my lines of force had to be locked in. When I shot the 60 lb version, I notice that the bow can torque if your grip is not flawless. I think this may be in part to the string not being stabilized by the cam channel at full draw like some other bows. The Hoyt Carbon 34’s string jumps off a point on the cam while the Elite Energy 35 gives the string a gradual lift off from the cam stabilizing the bow a bit more at full draw. Here are a couple images to explain my theory. High quality carbon build with a very attractive look. Good speed and accuracy while delivering a quiet shot. Features like the rubberized arrow shelf and the “warm to the touch” grip/carbon riser. The MSRP of $1,399 may be out of some people’s budget. The infamous Hoyt riser vs drop away rest battles. 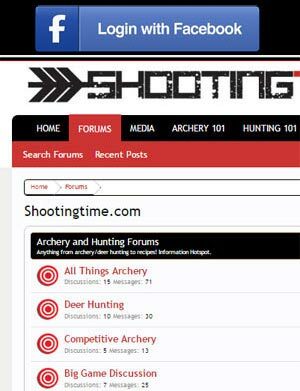 It is slightly outperformed by one or two less expensive bows. It can be torqued easier than other bows. The Hoyt Spyder 34 is a great bow. Hoyt always delivers a quality build and the Hoyt Spyder 34 is no exception. Although an excellent performer, it still lacks in some areas compared to other flagship bows in the 2014 lineup. This fact, along with the high retail price, will make it difficult for this bow to be considered at the very top of its class. We give the Hoyt Spyder 34 an 8 out of 10 stars. For more information on this bow, visit Hoyt’s website.